Hey WebFamilies, our photographers covered Noon Meal Formation today. This will happen throughout BCT and into the Academic year. Like clockwork, right at 12 sharp they all formed up by their Squadron alphabetically in front of Vandy Hall (north dorm). Then they march in front of the Class Crest wall and the Chapel, and then past Sijan Hall (south dorm) down to Mitchell Hall for lunch. 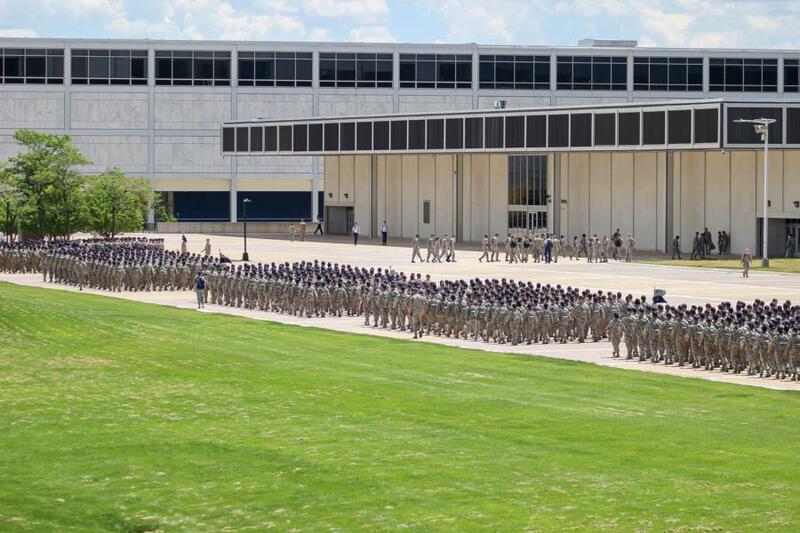 This formation and march into Mitchell Hall for the noon meal helps the Basics to practice on their form and count. 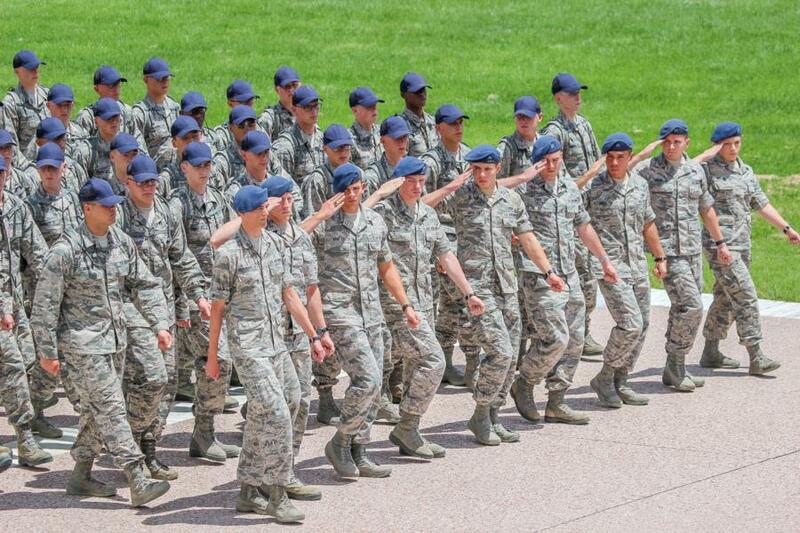 Some fun facts about Mitchell Hall, the staff at Mitch's will serve over 3 million meals in one Academic Year and can serve the 4,000+ Cadets in 10 minutes after they have all sat down at their tables. Now that's service! 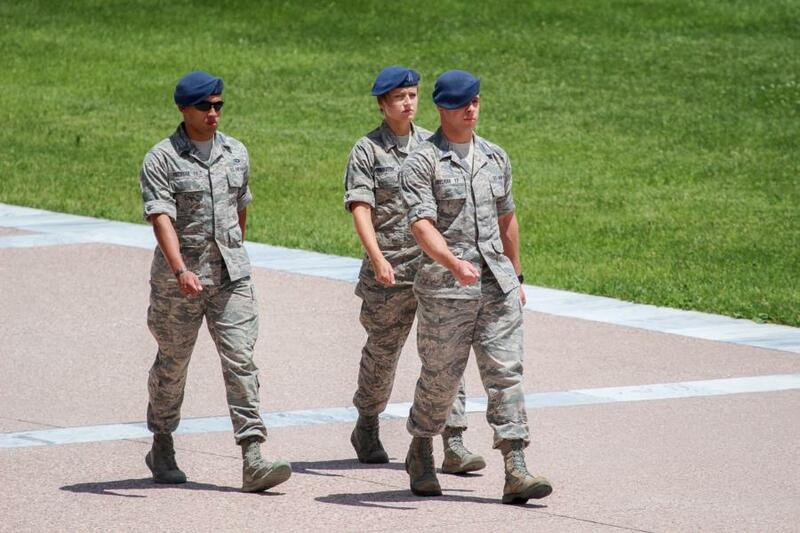 Pictures from today are in the BCT 1 "All" Gallery. Tomorrow we will have photographers out in full force getting coverage of some of the activities your basics will be doing so check back in the morning!